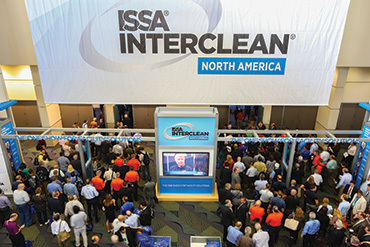 This is the first part of a two-part article recapping ISSA/INTERCLEAN 2014. 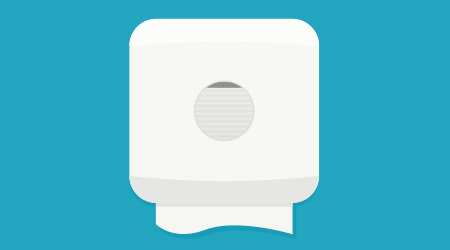 Like its predecessors, ISSA/INTERCLEAN North America 2014 again succeeded in being the one week where key leaders and decision-makers in the commercial cleaning industry converged to see new product innovations, learn about industry trends and strengthen business connections. The exhibition, co-produced by ISSA and its trade show partner, Amsterdam RAI, attracted 14,123 registrants to the Orange County Convention Center in Orlando, Florida, November 4-7, to network with the show’s 685 exhibitors. Not only were decision-makers from the industry’s top distributors, building service contractors and in-house cleaning departments in attendance, but also more than 800 such organizations were represented that hadn’t participated in the event last year in Las Vegas. Of those new firms, 374 were distributors drawing from the Southeast region, from outside of the United States, and also from vertical markets, such as the office products, industrial and foodservice sectors. This event was once again a global gathering, with 16 percent of visitors hailing from 71 other countries. In addition, the trade show featured exhibitors from 27 countries. Four other industry groups held their annual conventions during the week: the Association of Residential Cleaning Services International (ARCSI), Building Service Contractors Association International (BSCAI), IEHA, and the newest co-location partner, Cleaning Trade Equipment Association (CETA). The International Window Cleaners Association (IWCA) also hosted safety workshops for the first time during ISSA/INTERCLEAN. 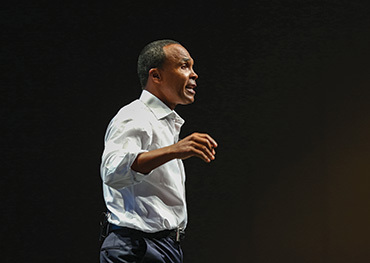 In addition to ISSA’s efforts to attract a diverse group of industry influencers at this year’s event, the association also offered more reasons to stay longer into the week, including four days of educational seminars, four keynote speakers and a chance to connect with LinkedIn members. The event culminated in a double-header of keynote speakers plus industry awards on Nov. 7. Champion basketball coach Rick Pitino kicked off the day’s activities, and, at the close of the exhibition, renowned boxer Sugar Ray Leonard headlined the ISSA Excellence Awards Luncheon. During the lunch, ISSA honored long-standing member companies, the 10 ISSA Best Customer Service Award winners and the 10 winners of this year’s ISSA Innovation Award. The day ended with several seminars, and, in all, the lineup succeeded in its goal of attracting more attendees to the show floor through its 1 p.m. close on Friday than in prior years.